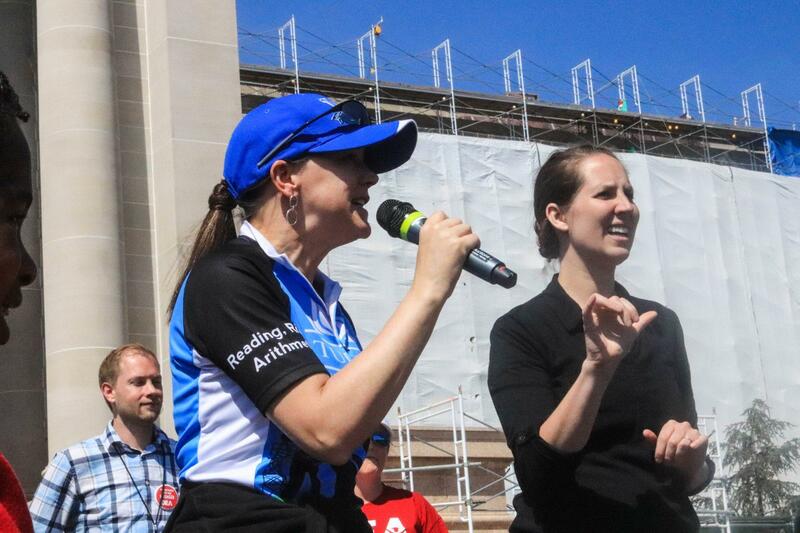 Tulsa Public School Superintendent Deborah Gist speaks to a crowd of supporters during the Oklahoma teacher walkout. Gist’s tears soon gave way to an energetic speech in which she challenged teachers to continue fighting for schools after the walkout ended. One way to do that, she said, was direct involvement in state politics. Candidate filing for state offices started the next day. By the end of the week, a record 794 Oklahomans decided to run. Some estimates suggest as many as 80 of those campaigners are public school teachers. Cody Coonce, an English teacher at Bixby High School, is one of them. He says it was his lawmakers’ reluctance to meet with educators during the strike that made him think he could do better. Coonce, a Republican, is running to unseat Republican Rep. Mike Ritze. Coonce says he wants to make school funding a priority and feels the long-time incumbent has not. “I believe that if I had a candidate who was pro-education in my district, I would not have felt the need to run as much as I did,” Coonce said. Jen Youngberg teaches in Haskell Public Schools, a small district southeast of Tulsa. She’s filed as a Democratic opponent to Ritze and describes a similar experience during the teacher walkout. “After having the opportunity to meet my representatives at the Capitol, I was extremely upset by their nonchalance of what to do about the education crisis in Oklahoma,” she said. Another educator, Democrat Madeline Scott, is vying for Republican Rep. Tess Teague’s seat in Choctaw. Scott said she planned to run in 2020, but the teacher walkout motivated her to enter politics sooner, rather than later. All three teachers say the lawmakers representing their local districts are out of touch. The candidates’ school boards all voted unanimously to support teachers who walked out to pressure lawmakers for teacher raises and more school funding. Both Ritze and Teague voted against three major legislative packages that would have increased taxes to fund teacher pay raises. Neither incumbent responded to StateImpact’s request for comment. In other interviews, Ritze took issue with businesses exempted from an increase on tobacco taxes. Teague wrote on Facebook she thinks lawmakers could have increased school funding without raising taxes. Teachers and supporters rally at the state capitol during the nine-day teacher walkout. Deven Carlson, an education policy researcher at the University of Oklahoma, says many of the state’s most conservative Republicans will have to fight the hardest to keep their seats during the 2018 election. “Those representatives who opposed most of the revenue measures brought forth in the House this Spring are seeing a significant[ly] larger number of challengers than those who were generally supportive of the revenue measures,” he said. Ritze, for example, ran unopposed in 2014, but now has five contenders. Teague, for her part, drew seven opponents. The fierce political competition isn’t reserved for only tax-wary conservatives though. In the House alone, the number of candidates has nearly doubled since 2014. Another way of looking at it: Fifty-one House members ran unopposed in 2014. For the 2018 election, only 15 are unopposed — and most of them are Democrats. Andy Richardson is a lawyer running against Rep. Chuck Strohm for House District 69, another crowded race in the Tulsa area. Richardson says it’s clear that Oklahoma voters want change. “I saw the way that the educators, teachers, friends descended on the Capitol, and there just seems to be a disconnect between the Legislature and what Oklahomans really want,” he said. Richardson’s read on his community is that people want stronger, better-funded public schools. It’s unclear whether the momentum from the teacher walkout will fuel significant change this election season. In 2016, a similar thing happened: About 40 teachers ran for office on a platform of increased school funding. Only five of them won. 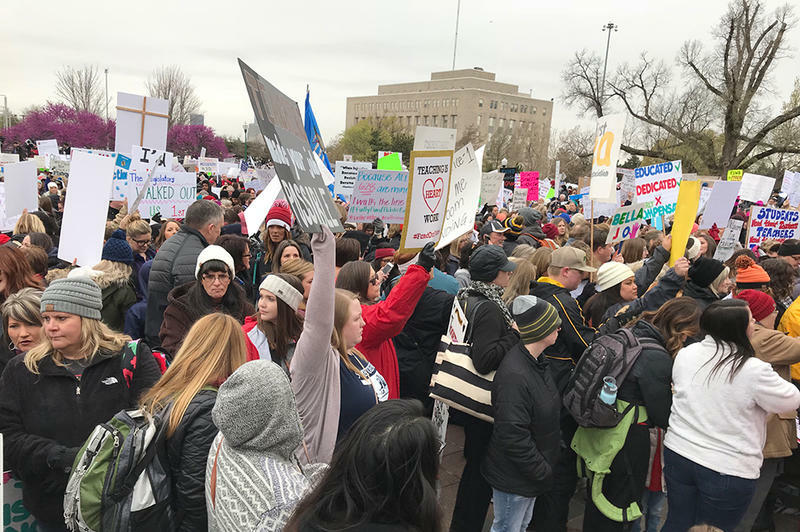 After nine days of rallying at the state capitol, union leaders say the Oklahoma teacher walkout is over. The president of the Oklahoma Education Association, Alicia Priest, said on Thursday that despite thousands of people calling on lawmakers to increase school funding, educators have seen no significant legislative movement since last Friday. 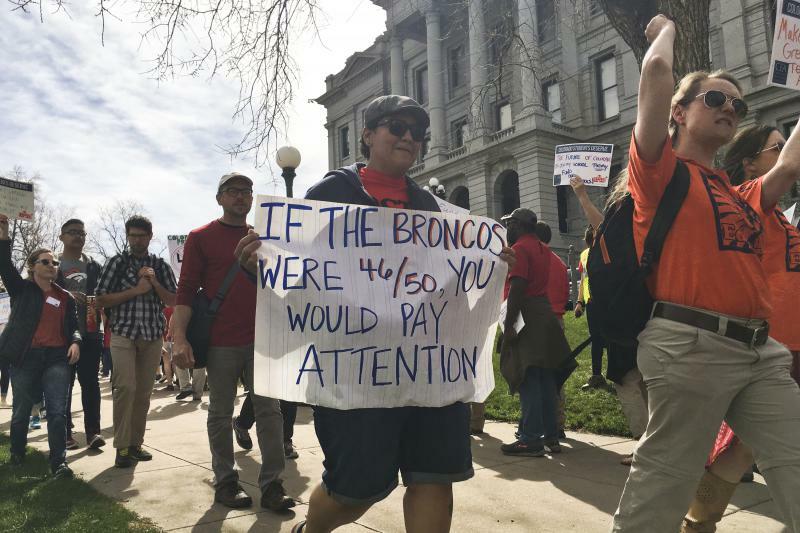 She said the union polled its members, and a majority doubted that continuing the walkout would result in more money for schools. 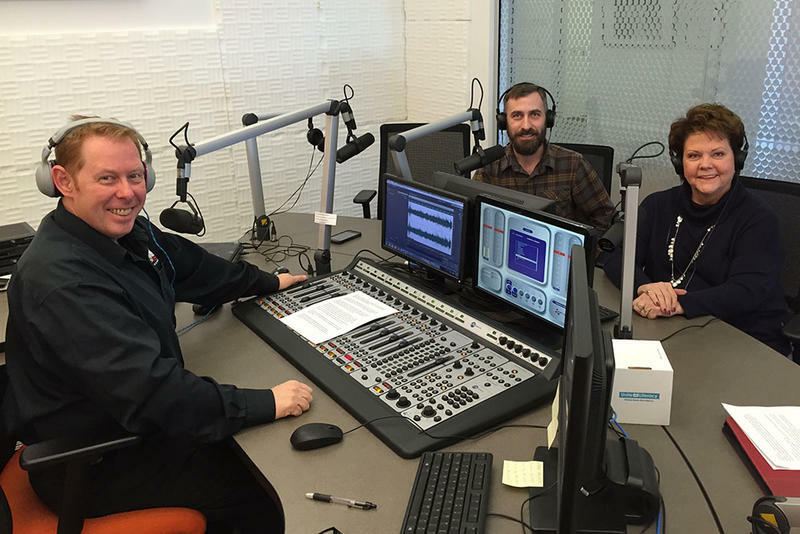 This Week in Oklahoma Politics, KOSU's Michael Cross talks with Republican Political Consultant Neva Hill and ACLU Oklahoma Executive Director Ryan Kiesel about the 2018 candidate filings which resulted in nearly 800 people deciding to run for public office, State Attorney General Mike Hunter faces a challenge to his candidacy based off his residency and lawmakers advance seven bills designed to reform Oklahoma's criminal justice system.